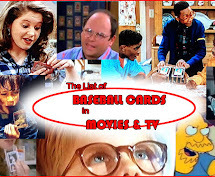 Julie at the blog A Cracked Bat hasn't had much time for blogging this summer, but lucky for me, she found time to assemble a heck of a card package and send it my way. 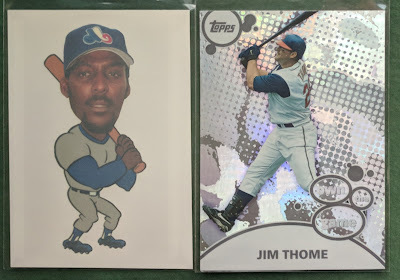 I showed off the Sandlot cards in my last post, but here's some more stuff. I haven't been paying much attention to any Panini products here in 2018, but some of the shiny parallels sure look nice. 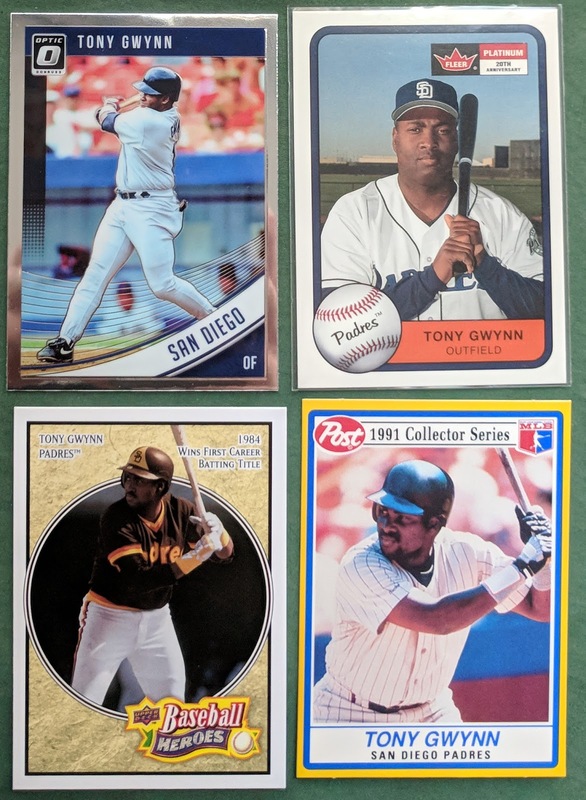 A few less visually-stimulating, but still cool, Gwynn cards. 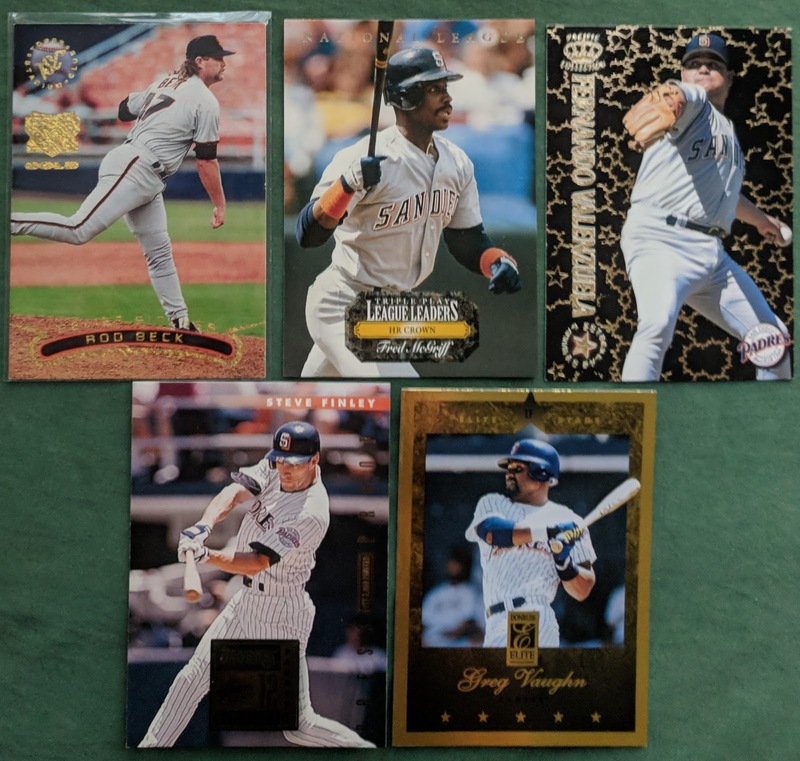 A few Padres favorites from the age of gold foil overload. 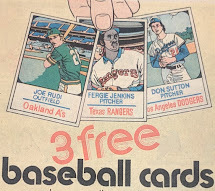 Any time I get a new Rod Beck and Crime Dog card is a day of celebration. The Finely is a Press Proof. I finished this 1993 Upper Deck Fun Pack subset not long ago, but that doesn't diminish my excitement at receiving this big lot of Glow Stars. 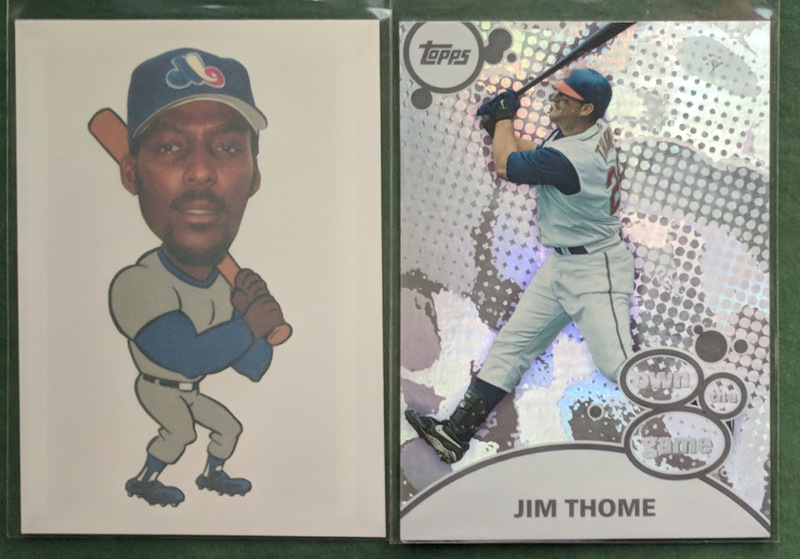 You can consider me the Tim Wallach Collector of glow-in-the-dark cards... I want them all, even if I already have them! Hoyt Wilhelm is always a welcomed face in a trade package. 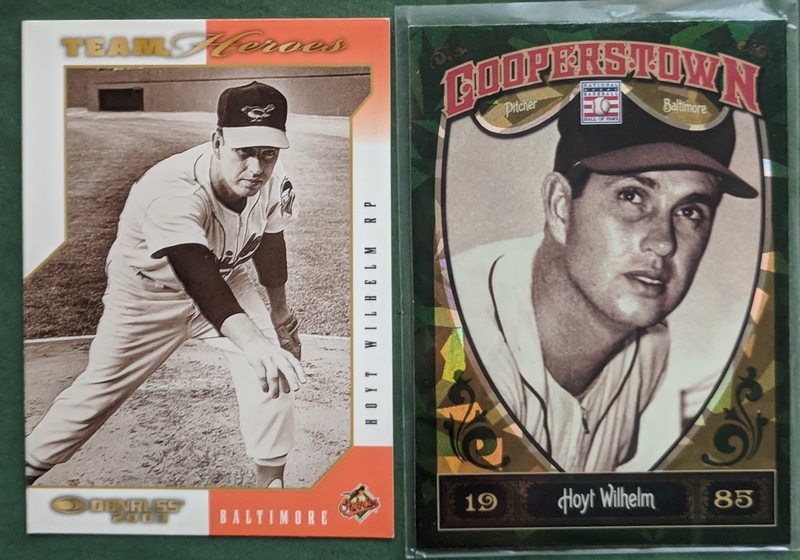 Neat inserts of a couple recent HOF inductees. 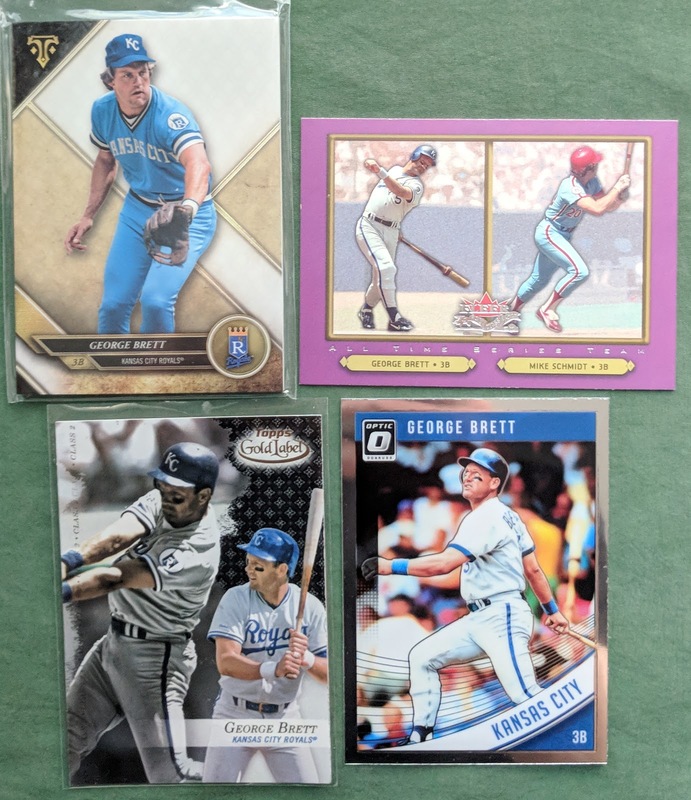 And we end for today with an impressive lot of George Brett cards. 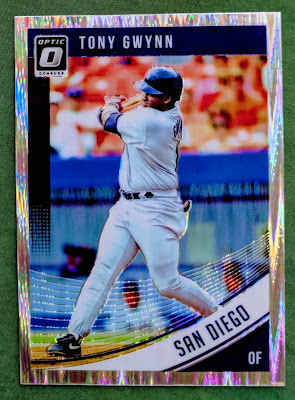 So there were the retired players from the package; there's still a stack of active players which I'll show off later. YES, JULIE CERTAINLY KNOWS HOW TO CRACK OUT A PACKAGE. Now that's a glowing care package! i must be honest. 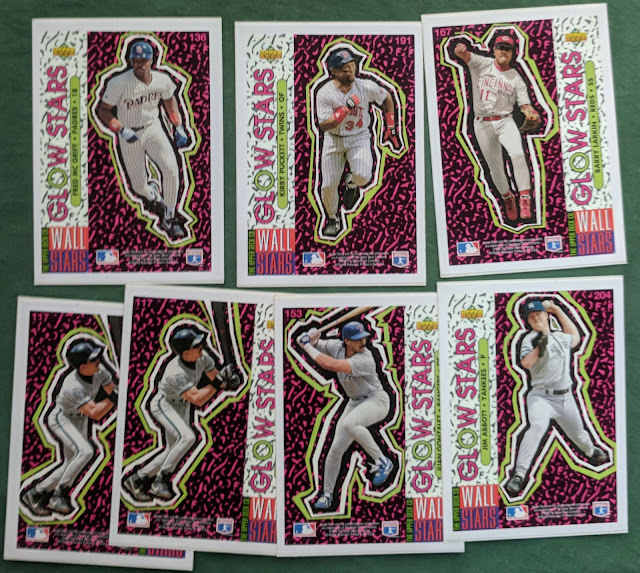 I hoard glow stars. i love these very 90s inserts!